We have some good news for the genealogy community. We are constantly developing new ways to advance genealogy through the latest technological innovations. One of the most exciting frontiers in family history research is DNA and today’s announcement reflects a major step by MyHeritage in this important area. DNA and traditional genealogy methods, such as family trees and historical records, go hand in hand. DNA can sometimes help where traditional research encounters a dead end, while traditional genealogy is often required to pinpoint an exact relationship path discovered by DNA. While we have been offering DNA test kits for a few years — through partnerships — and will continue to do so, we are now developing a new DNA Matching service. This service will enable people who have already tested their DNA through DNA testing services (such as 23andMe, Family Tree DNA, and AncestryDNA) to enjoy MyHeritage’s exceptional matching capabilities for their family history research, and get more value from the DNA test they already took. 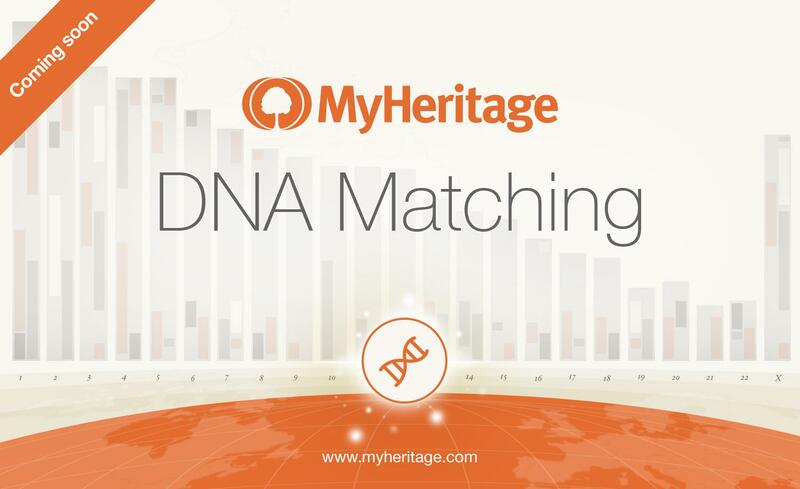 We invite such users to export their raw DNA data from the service they tested on (which is straightforward) and import this data to MyHeritage now, so that when our DNA Matching service is released soon, they will receive matches immediately, and at no cost. Later on, DNA Matching may become a premium feature, but it will remain free for users who upload their DNA data now. If you have already had your DNA tested, you can import your raw DNA data to MyHeritage by visiting the new DNA tab on family tree profiles. 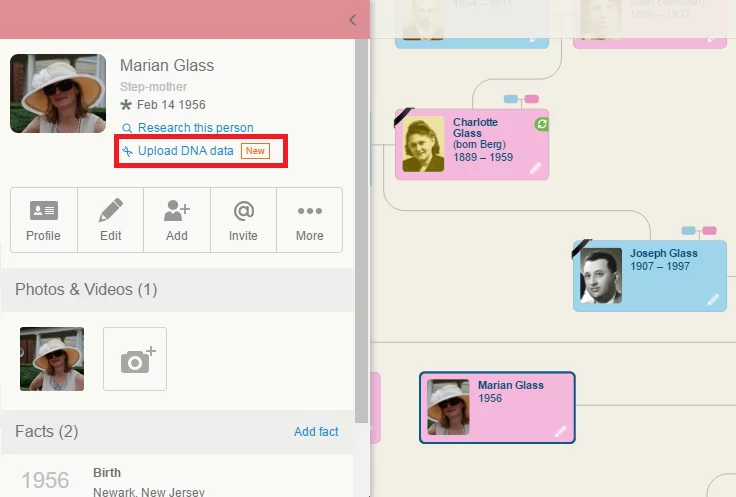 Access the DNA tab for yourself by clicking on your name in the top-right corner of your family site, and go to your profile. You can access the DNA tab not only for yourself, but also for your relatives, from the left panel on the family tree as shown below. Clicking the link takes you to the DNA tab on the profile page, where the DNA data can be uploaded. In the DNA tab, follow the instructions to download the data from any of the providers listed; check the boxes to accept the terms and conditions, and then click “Upload DNA data file(s)”. 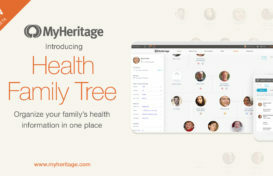 Your DNA data will be kept private and secure on MyHeritage. Our service will then match you to other people who share DNA with you: your relatives through a common ancestor. You will be able to review your matches’ family trees (excluding living people), and filter your matches by common surnames or geographies to focus on more relevant matches. This new technology will also enable you to prove and disprove other types of matches (such as Smart Matches™ and Record Matches) and connect with new relatives in order to collaborate. You’ll benefit from our vast international user base of 82 million registered users, plus the 10 million additional registered users on Geni.com, and get matches you would not receive otherwise. Below are answers to some key questions on this announcement. Why should I upload my raw DNA data to MyHeritage? Uploading your data will allow you to get additional matches to many other MyHeritage users who have tested their DNA. You’ll have nothing to lose because it’s free and will remain free for those who upload their DNA data right now. Can I delete my DNA data from MyHeritage? Yes. You can delete DNA data that you’ve uploaded to MyHeritage at any time. Can I upload the DNA data of someone else? You can also upload the DNA data of as many close relatives of yours as you like, from as many DNA test kits as you like, provided that you obtain their consent. To do so, visit the profile of a relative of yours in the family tree and click the DNA tab (provided that you are the site manager). I have uploaded my raw DNA data, but I don’t see any matches. This is because we are in the final stages of creating the reports. We will notify you when matching is ready, very soon. Who has access to the DNA data? Only you do. Nobody else can see it, and nobody can even know that it was uploaded. Only the uploader can see the data, and you can delete it at any time. Users who are matched with your DNA will not have access to your DNA or your email address, but will be able to get in touch with you via MyHeritage. Will MyHeritage provide other types of DNA reports? Yes, in the future we plan to offer ethnic/geographic origin reports. They will also be free for users who upload their DNA data now. How do I import my DNA data into MyHeritage? To upload your raw DNA data, simply log on to MyHeritage, then click on your name in the upper right side, and select “My profile”. Then click on the DNA tab in your profile, where you will see clear instructions. If you need a hand, our friendly Support team is standing by to help you by phone or by email. What if I have not had my DNA tested yet? Free DNA Matching is being added for people who have already had their DNA tested by a DNA testing service. If you have not had your DNA tested yet, you are welcome to view our recommended DNA tests, provided by our trusted partners, and make a selection appropriate for your research goals. Please note that the DNA tests are not free. Once your DNA results arrive you’ll be able to upload them to MyHeritage. The powerful matching technologies we have developed are considered by many to be the best in the genealogy industry. We are very happy to be adding DNA Matching to our line-up, and we hope it will provide a breakthrough in your family history journey. Will there be any technical details about matching thresholds, how relationships are calculated, and the types of algorithms MH has developed be made available? Will there be a chromosome browser? This is exciting! Hi Angie, more details will follow. Watch this space! I have tested with 23andme, Autosomal Familytree DNA and Ancestry. Should I upload raw DNA results from all three companies? I presume this is for autosomal matching only. This is for autosomal matching only at this point. I have uploaded the DNA Tests I manage for my Dad and myself. I also manage a test for a 4th cousin once removed and wanted to add his test, but the DNA Link is missing from his profile. On checking I see it missing from all but my closest relatives, but it’s even missing from my Mum. Is this by design or some glitch? Hi Roger, at the moment this is only available for first degree cousins, but in the next day or so it will be opened up to additional relatives. Thanks. Please keep me informed about this. Thank you. Why can’t I add DNA files for my cousins? The field is not appearing on their profiles? It worked for my brother and mother. Hi Julia. At the moment it’s only available for first degree cousins, but in the next day or so it will be opened up to additional relatives. Thanks. I agree with Angie that it is very good that MyHeritage is moving into this area. The fact that MyHeritage has a universal family tree through Geni.com will be very helpful in terms of finding genealogical connections. Please provide us with a chromosome browser. Having a list of matches but not knowing exactly where we match them on our chromosomes such as is the case currently at Ancestry.com is extremely frustrating and significantly reduces the power of using autosomal DNA for genealogical purposes. yes, please include a chromosome browser. it is essential for proving/disproving matches. I am very happy to see MH moving forward with this. I have used Ancestry.com DNA successfully, and I found several relatives using the tree I created in combination with the matches. Now I can try it with a different population here. With luck I will find some additional DNA matches that I can connect to. This is a fantastic opportunity. Thanks for providing it! I do not have the ability to upload genome for my grandfather. Hi Kuba, at the moment this is only available for first degree cousins, but in the next day or so it will be opened up to additional relatives. Thanks. @Aaron, thanks for the information. I am looking forward to that, but more importantly to the working results. I second the calls for a chromosome browser and ability to triangulate between matches. I would like to add myself to the request for a Chromosome Browser. As Angie and Tim have already said the lack of this on Ancestry make our job much more difficult. I work with adoptees and others who have a missing link or NPE in their family history. Without a CB we are working with at least one hand behind our backs. Exciting news! I’ll upload my results today. I don’t have any first cousins :'( But please! give us tools, like a chromosome browser, along with this, and lots of technical details too. Yes for the chromosome browser ! Uploaded my mother and myself. Easy peasy! Please, please add a chromosome browser! Are those people that I have invited to view my Tree excluded from viewing the DNA results? Members of your family site will not be able to view DNA results that you have uploaded. Only the person who uploaded results or the person in the family tree that the results were uploaded for can view the results. I was able to upload 13 test results on each of my two tree. I have two trees. One with both my parents, and one just my maternal line. Do I need to upload the data on both trees. You should upload your results to the main tree that you are associated to (if you look at yourself in the tree, in your profile it should say “this is you”). I have tested with 23andme v3 test and with ancestryDNA. Which test is best to upload? I’m excited to have another place to compare DNA results with people who have used different services. Is there an ETA when this service will go live? I have uploaded my FTDNA results a while ago and was wondering when I will be able to see my matches. I did DNA testing through Ancestry. Can I bring that information over to My Heritage? Yes for chromosome browser as it i so very useful. I’m pleased to see MH is joining the genetic genealogy ‘game’. Thanks! I have DNA results from 23andme and Ancestry. Will I be able to load both? Will these results be reported on independently and/or will they be merged into one database with enhanced results? How many submitted DNA results per person can the My Heritage program handle? You can upload results from multiple companies. The results will be merged. You can upload autosomal tests from each of the three providers (Ancestry, 23andMe, and FTDNA). I love this capability, can’t wait to use it. I have uploaded Ancestry DNA data. I am very excited about this feature!! Where can we see results? I have had someone contact me about a match but I can’t see anywhere to get this information! 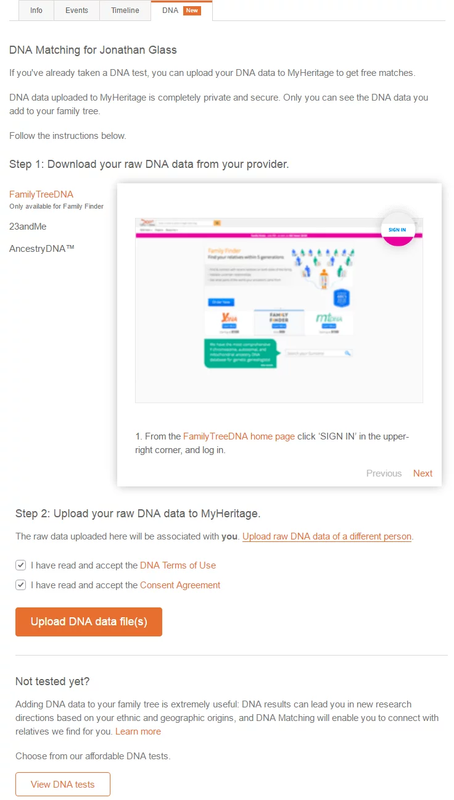 You can access your DNA Matches in a new page called DNA Matches, in the Discoveries tab on your MyHeritage family site. Is there an update about the date that this will go live for users? Some information would be very much appreciated. Our DNA Matching is now live! Go to Discoveries > DNA to take a look at your matches. Glad to see my matches now available. None that I can identify the relationship for yet, but time will tell..
Now to see what the matches actually mean..
Found my matches yesterday. The relationship estimates seem optimistic compared to other services. I only recognized one name that I match from Ancestry and Gedmatch. Is there a way to export the matches and data? And it would be great to have a field that shows when the person was matches/added. I have a database for all my matches, but it would be a pain to keep track who is new and who I already added. Thanks for the suggestions. We’ll pass them on to the Product team. my matches just came out – is that the same with everyone? I have looked through the multitudes of matches and don’t see one surname that looks familiar. Only a couple of other people from my country, even! How has everyone else been with their matches? Have they worked out for you? Do they seem accurate and reliable? If I tested with Ancestry.com, can I still upload my results if I don’t have an account with MyHertiage? If you’ve tested with Ancestry, you can upload those results to MyHeritage. 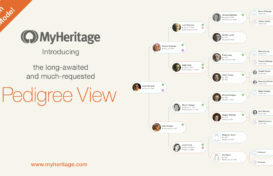 Create a free basic account at http://www.myheritage.com, and then follow the instructions above to upload your data. You should receive matches soon after. I have uploaded multiple DNA samples but only see the matches for my own sample; how do I see matches for my other DNA samples? If you don’t see a drop-down menu, then the matched have probably not yet been calculated for the other kits that you uploaded. Please check back over the next few days. I Uploaded my DNA data today from Ancestry.com. I’m adopted and I’m the only known member of my DNA tree. Is it still possible to get relationship matches without buying a membership? Don’t need the research tools with no one to research. DNA Matching is completely free for anyone that has already uploaded DNA tests, or who does so in the near future. You can use a basic MyHeritage account. I see my matches , but it’s not really helped me out much in my research, as I don’t see any common surnames in the trees I am connected to by DNA. I was hoping for information for matches in family trees. Hopefully more features will be made available. @Kuba (20 May 2016): Beautiful dream! Seems like a wonderful and logical outcome of all this, although probably a few years away. A problem might be the moving target: An ancestor always has their own ancestors, so to which ancestors are a newcomer’s DNA segments going to be assigned? Still, a great dream. And in any case, assembling such a data set will mean that we’ll increasingly piece together the genomes of past people. I’m most excited about honouring our ancestors by recreating their genomes. Of next interest to me is what each of us has inherited from them – proportions of the genome, specific segments, and particular gene variants that provide genetic predispositions. Third are the various ways and paths by which that ancestral DNA has come together to form me or anyone – which overall I suspect/understand will be some tiny segments having existed intact for dozens of generations, but large segments (>20 cM) being intact only in our ancestors of the last 2-8 generations. I have already uploaded my DNA to GENI,COM. Do I have to upload it again for My Heritage? MyHeritage and Geni are not integrated. We suggest that you upload your DNA test results to MyHeritage so that you can receive MyHeritage DNA Matches. Hi, I have an account with MH and had a DNA test done by Scotlands DNA, can this be uploaded? At this point, we offer users to upload tests from Ancestry, 23andMe, and FTDNA. Two days ago, I uploaded all 3 living grandparents’ DNA results from Ancestry. It still says there are no matches for any of them. I’m very surprised. Is there a way to tell if something is wrong with the uploads? It seemed to go successfully. Just surprised because I have hundreds of matches for each on Ancestry. How long should I wait for matches to populate? We are currently calculating matches every week and the process will become daily in the next few days, and possibly close to real-time in the future. When is this likely to be available to users in the UK? It’s already available to users in the UK! Kevin Lee Phillips, AKA Edward Weldon Kraus , Mruz. Yes Hi I’m am so Glade your adding the DNA Matching. Because people like me were adopted at birth and only knows bits and pieces of who we really are Ancestry wiz. In my case my adopted parents have tried there hardest and my adopted brothers there Biological Sons are trying to keep myself from finding out who I really am and who my parents are and there family members I’m doing your DNA Test as I texted yiou all have my test MH-2YH5R3 Kevin Lee Phillips, AKA My Real Name EDWARD WELDON KRAUS , MRUZ is my I believe there is something very Big and Important about who I really am , do to the fact my adopted family is trying to hide this from me. So yes I m so Happy I Found you Company and am looking forward to the DNA RESULTS. IM (KRAUS) GERMAN IRISH (WELDON) AND POLISH MRUZ ON MY BIOLOGICAL FATHERS SIDE. I would love to find details of my Grandfathers family. The only details apart from him is his fathers name given on his marriage licence. I have my DNA which was via Ancestry. I do not know how to put it into my Heritage information. I hope you can help me, please. Do you also receive ethnicity estimate like other sites offer or is it only relative matching? If it is only relative matching, I’d like a link that explains how to delete my raw data. You should also make it clear to people whether ethnicity estimates are included in the free upload. We offer free DNA matching and Ethnicity estimates to users who upload their DNA results from other services. My FT.DNA- Kit=77592. Can you retrieve it. I can send a copy? will they email or mail me a copy of my Dna result? You’ll receive an email notification when your DNA results are ready, and you can then go into your family site to view your results. You can actually upload your Ancestry DNA results to MyHeritage to take advantage of our comprehensive Ethnicity Estimate and DNA Matching. For more information please see http://www.myheritage.com/dna/upload. Hello Sonia, You can order a DNA kit here: https://www.myheritage.com/dna Today is the last day you can take advantage of our Black Friday and Cyber Monday sale for only $49 per kit. Hi i m deaf and from France. I was born in India and my parents adopted me in INDIA and brought it To France when i was baby and mother teresa found me in East INDIA . My real name is Jeewan in india then changed my name is Jivan Petit in France. I dont have last name and birth certificate . I dont know where am i born excatly. I m abondon in village of bihar or jharkhand or Nepal. M’y birthdate is 22 december 1976. Merry Christmas and new year 2018! I would like to know how to do this and when is the last time I can. I have my oldest son that I would like to know his ancestry. How much are your d.n.a. Test right now! Hi Elizabeth, There is currently a MyHeritage DNA Flash Sale. Through July 18, MyHeritage DNA kits are only $59! the name McCleese and Fenity are extinct, is there a way to find any living relatives to these names. I am looking for my biological dad. My Mom was very young when she had me. She passsed away very young also. I have asked family members but get different stories. No father on birth certifate. Im at a stand still. I did do my dna but no close family. Is there anything else I can do? how do I upload my raw dna? You can upload your DNA data here.